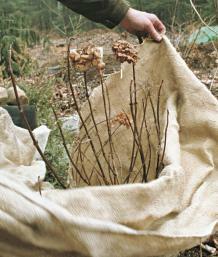 Burlap makes a simple, yet effective, wrap for a marginally hardy hydrangea. The author drapes the fabric around the plant several times. But it got me thinking that if I kept my variegated hydrangea (Hydrangea macrophylla ‘Tricolor’) warmer, its stems and buds might survive. So I decided to cover the plant in winter. I bought one of those homely-looking Styrofoam cones sold to protect tea roses in winter, capped the hydrangea, and covered that with a layer of shredded leaf mulch and pine boughs. Then I waited until the next summer when—lo and behold—the hydrangea flowered. Create a small tent with a few stakes and a fabric that breathes. Here, a lightweight floating row cover is used to insulate a camellia. To protect newly planted conifers or broad-leaved evergreens from harsh conditions, a simple windbreak and sunscreen usually suffices. 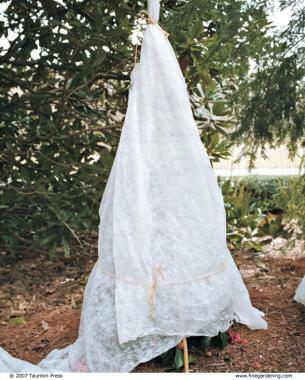 The simplest shelter is a quick cocoon of coarse burlap or floating row cover. I just take a length of material long enough to wrap around the plant a couple times, drape the fabric over one side of the plant, and then wrap it loosely as if I were rolling up a rug, positioning the branches to avoid breakage. If the plant is taller than the width of the material, I work the material up or down the plant with each successive layer. Once the plant is covered, a loop or two of twine holds everything in place. Still, a heavy, wet snowfall or ice storm could weigh down the fabric enough to topple the whole thing—breaking branches and maybe even snapping the trunk. 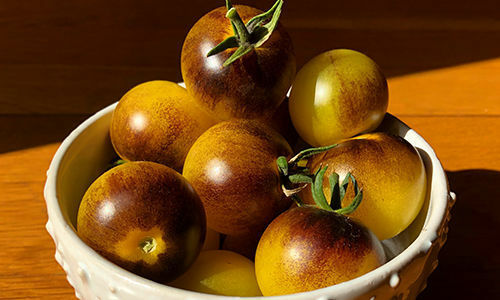 For a sturdier enclosure, I drive a few tall tomato stakes into the ground around the plant, wrap a curtain of burlap around them, and then staple it into place. For full protection, I make the burlap walls at least 6 inches taller than the plant. 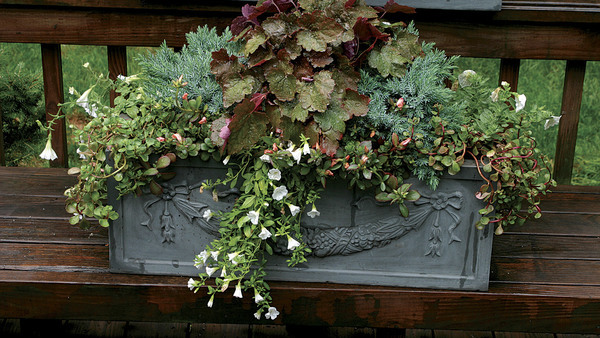 Use a cloche to protect the crown of a tender perennial. 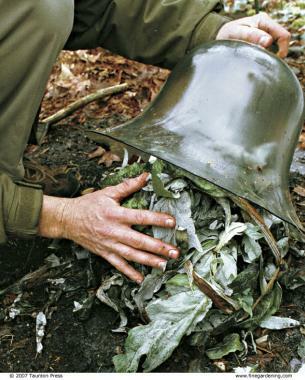 The author folds the leaves of a tall cardoon and tucks the plant under a bell-shaped glass cloche. Pine boughs around the cloche keep it from heating up on sunny days. Windbreaks serve a purpose. But to create a micro-environment that will protect tender hydrangea buds or a perennial rated a zone or so warmer than my garden, I make a more protective enclosure. It can be simple or complicated, depending on the plant. 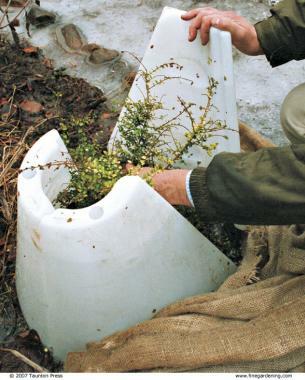 Use a water-filled, hard-shelled plastic structure to overwinter a small plant. The author wraps burlap over it to keep out snow and freezing rain. For most perennials, my goal is to protect the crown of the plant so it will survive to generate new growth in spring. That means covering a relatively small area. I protect a 3-foot-wide-and-tall cardoon (Cynara cardunculus), which I prize for bold, sawtooth-edged swords of silvery foliage, with a 15-inch-wide, bell-shaped glass dome called a cloche. In late fall, I fold the cardoon’s fronds of foliage back over its crown—for extra layers of insulation—then pop the cloche over the resulting wad of leaves. So the plant won’t get too hot when the sun shines, I drape a few pine boughs over most of the cloche. Snug in its glassy igloo, the cardoon slumbers peacefully through the winter. Although the leaves die back, the plant reawakens in spring to grow with a vengeance. 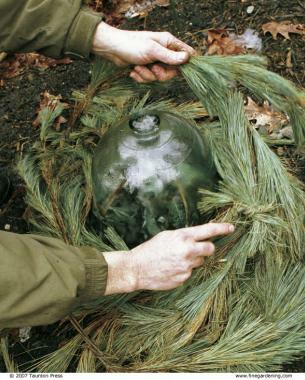 You can find glass or plastic cloches at some garden centers or in mail-order catalogs, and there’s also a product called Aqua Dome (www.wingedweeder.com)—a hard-shelled, cloche-like gizmo whose panels are filled with an insulating layer of water. A similar device called Wall-O-Water, which is popular with season-stretching vegetable gardeners, would probably work too. Protecting larger plants, especially those with woody stems, requires a little more ingenuity. For anything under 15 inches, I carefully bundle the branches together and cap them with a large, overturned, plastic pot covered with leaves or pine boughs to ward off heat on a sunny day. 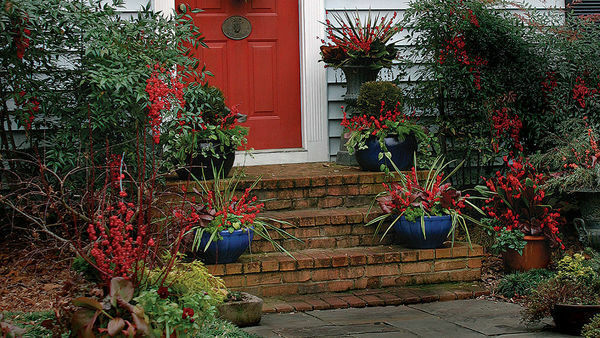 Plants that are larger require a custom approach. 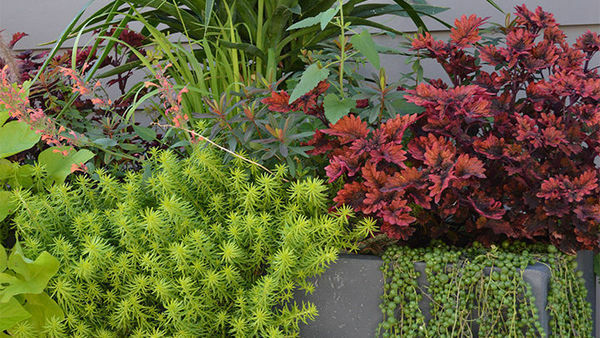 Protecting treasured, yet tender, plants sometimes calls for innovative structures. 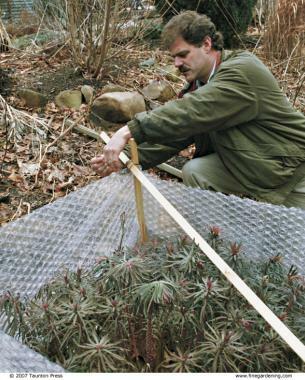 The author makes a miniature greenhouse for a prized euphorbia with scrap wood and plastic bubble wrap. 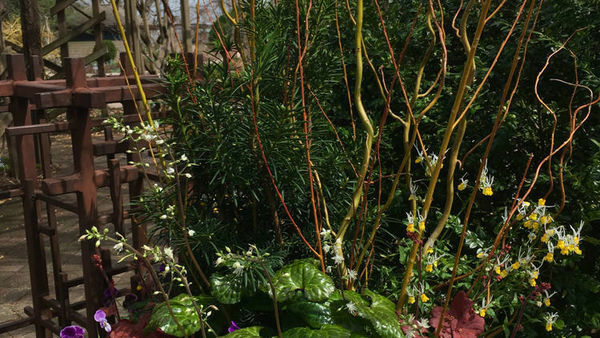 Ever since I saw a Euphorbia characias ssp. wulfenii in the Pacific Northwest, I’ve been smitten. 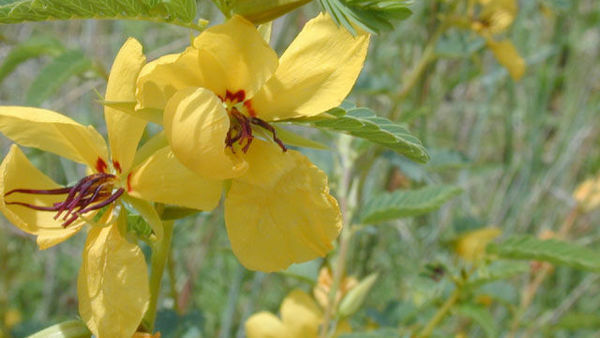 The plant has such noble splendor and looks so incredibly…well, weird, that I just had to grow one. It’s nowhere near hardy here, but I figured a little protection might go a long way. The first winter, my protected plants died, but I attributed that to winter wetness, and amended the soil to improve drainage. The next fall I surrounded a new plant with bubble wrap wound around four stakes and stapled into place. For a roof, I tied stakes to the pillars as rafters and topped it off with a sheet of plastic . The shelter wasn’t airtight, but I didn’t want it to get too hot on a sunny day. I rigged a burlap skirt around the bottom of my assemblage to permit air circulation while keeping out some of the cold and wind. With this annual routine, the plant’s been thriving in my garden. Coddled plants can look intriguing. The Ruth Bancroft Garden uses wood-and- plastic houses (rear) to insulate tender succulents, as well as simple plastic wraps secured with twine (front). Dean Kelch uses a similar, but more elaborate, technique to protect hundreds of cacti and other succulents at the Ruth Bancroft Garden in Walnut Creek, California. He builds wooden frames and covers them with plastic or floating row cover. The greenhouse-like structures are placed over a plant, then fastened to rebar stakes driven into the ground. Though his frames—some as high as 15 feet tall—take a bit longer to build, they can be reused from year to year. Kelch always leaves a 2- to 3-inch opening at the bottom of the frame to allow air circulation and prevent heat buildup. He gives the plants inside up to a foot or so of clearance. With PVC piping and elbow-shaped connectors, assembling a similar enclosure could be as easy as building with Tinker Toys. 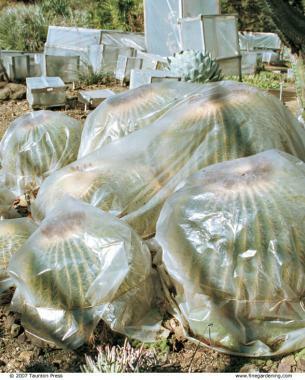 Kelch also protects some cacti simply by wrapping them in a layer of plastic secured with twine. As winter melts into spring, I patrol the garden daily to look for signs of new life. 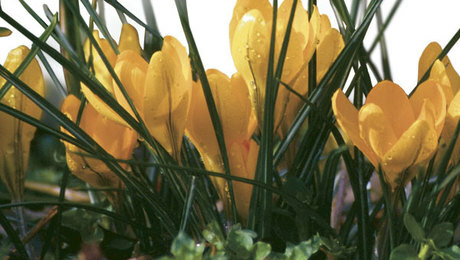 The first frilly blooms of witch hazel, the first snowdrop, and the first crocus are all cause for celebration. But I make sure that I don’t let myself get carried away by these early harbingers of spring. I don’t yank the wraps from my protected plants just yet, as more nights with icy temperatures are still likely. Instead, I wait until just before the cheerful trumpets of early daffodils sound their April fanfare to herald spring’s arrival. Ideally, the wraps come off at the start of a stretch of cloudy weather. Cool, gray skies ease the plants’ return to the real world. 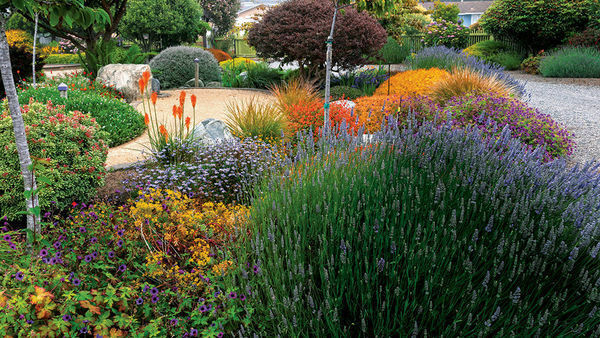 But as long as the plants are still dormant, a more abrupt reawakening shouldn’t be too shocking. Removing the wraps takes even less time than putting them on, and it’s joyful work, filled with the anticipation of things to come—like the lacecap flowers that will make my variegated hydrangea that much more enchanting. All right! I've been looking for a reason why NOT to use over-turned pots on my semi-5a butterfly bushes, and here you are, helping greatly with your answer. Great article, very thorough and helpful! I really appreciate it. I have very low to the ground shrubs on the side of my driveway where snow removal will cover them with a minimum of 4 feet of heavy snow. I just planted them in the spring so this will be the first winter for them. 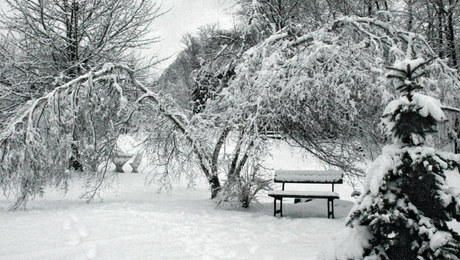 Could I cover them with apple crates to protect them from the crushing weight of the snow?